A cruise exploring the horticultural highlights & art treasures of the Netherlands aboard the MS Royal Crown. With Nicholas Merchant as Guest Lecturer. For full details and booking arrangements see www.noble-caledonia.co.uk. Please quote NICHOLAS MERCHANT when booking. Spring is the perfect time of year to immerse yourself in the cultural and horticultural splendours of the Netherlands. During our voyage aboard the wonderfully comfortable MS Royal Crown, we will explore the countryside in some depth, visiting the magnificent flower displays of the Keukenhof, the picturesque towns of the Zuider Zee, the botanical gardens in Utrecht, and of course the art treasures of Amsterdam and The Hague. April is the perfect time for such a journey, the bulbs will be at their best and the landscape touched by the arrival of spring. The itinerary we have designed is, we believe, a perfect mix of horticulture, history, art, and Dutch lifestyle and makes for a colourful and endlessly interesting cruise. The Netherlands are so reassuringly like home in that the weather is very similar and because the Dutch brought so much European culture to our shores, thanks to the arrival of William and Mary as our King and Queen in the late 17th century. For me the highlights of this tour are firstly, the Rijksmuseum, the seaports of Zeeland, and the Mauritshuis in the Hague. 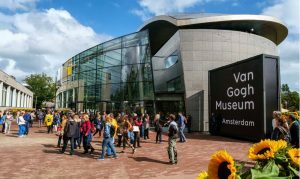 These are personal choices and should not deter you from visiting the Keukenhof gardens, which literally once seen are never forgotten, with theirs swirls and rectangles of neon-coloured flowers under the budding trees. A canal cruise helps you orientate yourself amidst the inter-connected canals of Amsterdam, and has the advantage of allowing you to see the handsome 17th and 18th century architecture, particularly along the Herrengracht and Kaisergracht. 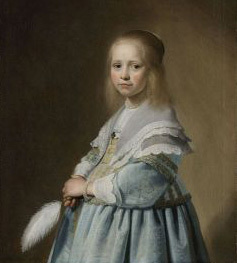 While on the subject of galleries, I must mention the Mauritshuis in the Hague. Here again, the result of a huge capital investment has restored the architectural integrity of this handsome 17th century building. All the ancillary utilities, ticket-desk, cloak-rooms, bookshops are concentrated under the museum allowing the rooms to be displayed untrammelled by these unsightly necessities. Spectacular! 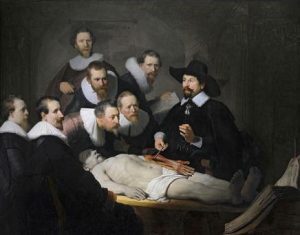 Wonderful Dutch 17th century paintings including Rembrandt’s The Anatomy Lesson of Dr Tulp, not to mention the Vermeers, and the whole panoply of Dutch 17th century genius. Here also emphasis will be given to the work of Rembrandt, in what is “his” year. 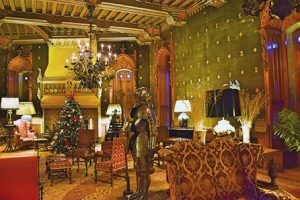 A somewhat unusual destination, not visited by many tours, is the enormous Kasteel de Haar. Built by the architect of the Rijksmuseum and Amsterdam railway station, Mr Cuypers, between 1892 and 1912, it was commissioned by Baron van Zuylen. He was of an ancient family married to Helen de Rothschild. Utilising his wife’s fortune he rebuilt in pseudo-medieval style his ruinous ancestral seat on a colossal scale. Every luxury and decorative feature was conceived on the greatest scale be it the supply of electricity from the castle’s own generator, the latest in kitchen equipment, or the tapestries and works of art culled from Rothschild collections, which fill the cavernous rooms. The surroundings are equally patrician with parterre’d gardens and 7000 fully grown trees planted by the Baron’s landscape gardener. Price Includes: Economy class scheduled air travel or Eurostar train travel in Standard Premier Class, nine nights aboard the MS Royal Crown on a full board basis, house wine, beer and soft drinks with lunch and dinner, shore excursions as described, Cruise Director, Tour Manager, Guest Speaker, gratuities, complimentary wifi on board, transfers, port taxes, airport taxes. Not Included: Travel insurance, optional excursions as described. Please see Noble Caledonia website www.noble-caledonia.co.uk for all details including prices.